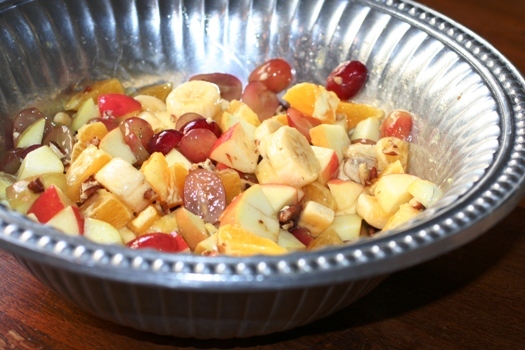 Fruit salad–sounds more nutritious than Hashbrown Casserole and Chicken Cheese Dip, right? With all the rich, heavy foods that we consume at Christmas, I like to have a few offerings that I consider more nutritious. Notice that I didn’t say “most” nutritious, LOL. The Orange Marshmallow Glaze still provides a holiday flair. We enjoy this Fruit Salad with our Christmas brunch every year. My mom always made this when I was growing up, so it is tradition for me. These fruits are available year-round, and they taste great with breakfast foods. (I like to use red apples and green grapes for the Christmas colors!) To make it more fun for the kids, add a handful of miniature marshmallows. (Holiday flair, remember?) This is a Hancock family favorite. We love it, and I hope you will too. 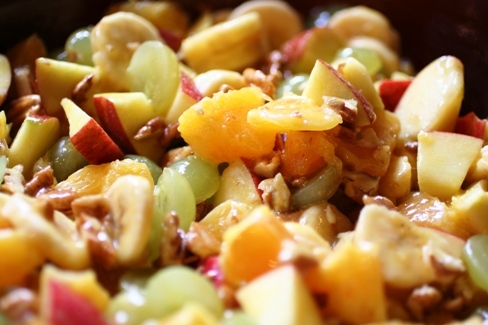 Combine chopped fruits and nuts. Save bananas--peel and slice those to add in at the very last. Combine in a small saucepan and heat on low until marshmallow melts. Pour over diced fruit and nut mixture, toss, and serve. 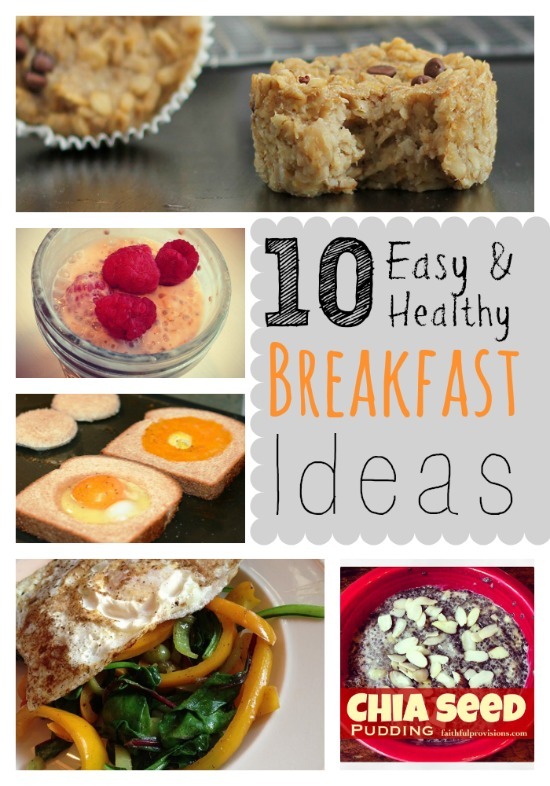 See all my Breakfast and Brunch Recipes. Find more recipes for your Holiday Meal Planning on Faithful Provisions.